^ Mayell, Hillary. Shrinking African Lake Offers Lesson on Finite Resources. National Geographic News. April 26, 2001 [20 June 2011]. ^ Sustainable development of drylands and combating desertification. [21 June 2016]. ^ The Desert Will Win. FIGU-Landesgruppe Canada. [2016-11-20]. （原始内容存档于2016-11-21）. ^ define:desertification - Google Search. [21 June 2016]. ^ Part I. [21 June 2016]. （原始内容存档于2016-06-07）. ^ Helmut J. Geist, and Eric F. Lambin. "Dynamic Causal Patterns of Desertifcation." BioScience 54.9 (2004): 817 . Web. ^ Mortimore, Michael. Adapting to drought: farmers, famines, and desertification in west Africa. Cambridge University Press. 1989: 12. ISBN 978-0-521-32312-3. ^ Laduke, Winona. All Our Relations: Native Struggles for Land and Life (PDF). Cambridge, MA: South End Press. 1999: 146 [30 March 2015]. ISBN 0896085996. （原始内容 (PDF)存档于2015年4月2日）. ^ Duval, Clay. Bison Conservation: Saving an Ecologically and Culturally Keystone Species (PDF). Duke University. [April 13, 2015]. （原始内容 (PDF)存档于2012年3月8日）. ^ "Holistic Land Management: Key to Global Stability" by Terry Waghorn. Forbes. 20 December 2012. ^ Geeson, Nichola 等. Mediterranean desertification: a mosaic of processes and responses. John Wiley & Sons. 2002: 58. ISBN 978-0-470-84448-9. ^ Savory, Allan. Allan Savory: How to green the world's deserts and reverse climate change. ^ Savory, Allan. Holistic resource management: a conceptual framework for ecologically sound economic modelling (PDF). Ecological Economics. Elsevier Science Publishers. [10 March 2013]. （原始内容 (PDF)存档于2013年5月23日）. ^ Butterfield, Jody. Holistic Management Handbook: Healthy Land, Healthy Profits, Second Edition. Island Press. 2006. ISBN 1559638850. ^ Savory, Allan. Response to request for information on the "science" and "methodology" underpinning Holistic Management and holistic planned grazing (PDF). Savory Institute. [10 March 2013]. （原始内容 (PDF)存档于2013年5月23日）. ^ Drury, Steve. Large-animal extinction in Australia linked to human hunters. Earth-Pages. [9 June 2014]. ^ 21.0 21.1 LOWDERMILK, W C. CONQUEST OF THE LAND THROUGH SEVEN THOUSAND YEARS (PDF). Soil Conservation Service. United States Department of Agriculture. [9 April 2014]. ^ Whitford, Walter G. Ecology of desert systems. Academic Press. 2002: 277. ISBN 978-0-12-747261-4. ^ Bogumil Terminski (2011), Towards Recognition and Protection of Forced Environmental Migrants in the Public International Law: Refugee or IDPs Umbrella, Policy Studies Organization (PSO), Washington. ^ Geist, Helmut. The causes and progression of desertification. Antony Rowe Ltd. Ashgate publishing limited. [6 July 2013]. ^ Dregne, H.E. 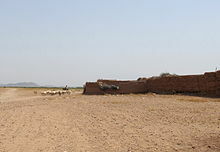 Desertification of Arid Lands. Columbia University. [3 December 2013]. ^ Sun, Moon and Telescopes above the Desert. ESO Picture of the Week. [30 April 2012]. ^ World Bank. Gender in agriculture sourcebook. World Bank Publications. 2009: 454. ISBN 978-0-8213-7587-7. ^ Riebeek, Holli. Defining Desertification : Feature Articles. earthobservatory.nasa.gov. 2007-01-03 [2016-11-30] （英语）. ^ 32.0 32.1 32.2 32.3 La progression du désert du Sahara augmente chaque année ?. Savezvousque.fr. [2016-11-30]. ^ 33.0 33.1 United Nations Convention to Combat Desertification: Issues and Challenges. E-International Relations. [2016-11-30]. ^ Klausmeier, Christopher. Regular and irregular patterns in semiarid vegetation. Science. 1999, 284 (5421): 1826–1828. doi:10.1126/science.284.5421.1826. ^ (www.dw.com), Deutsche Welle. Grid of straw squares turns Chinese sand to soil - Environment - DW.COM - 23.06.2011. [21 June 2016]. ^ Dobie, Ph. 2001. “Poverty and the drylands”, in Global Drylands Imperative, Challenge paper, Undp, Nairobi (Kenya) 16 p.
^ Cornet A., 2002. Desertification and its relationship to the environment and development: a problem that affects us all. In: Ministère des Affaires étrangères/adpf, Johannesburg. World Summit on Sustainable Development. 2002. What is at stake? The contribution of scientists to the debate: 91-125.. 互联网档案馆的存檔，存档日期2009-08-09. ^ Pasternak, Dov & Schlissel, Arnold. Combating desertification with plants. Springer. 2001: 20. ISBN 978-0-306-46632-8. ^ Briassoulis, Helen. Policy integration for complex environmental problems: the example of Mediterranean desertification. Ashgate Publishing. 2005: 161. ISBN 978-0-7546-4243-5. ^ The Future Of Mankind - A Billy Meier Wiki - Overpopulation Crusade. www.futureofmankind.co.uk. [2016-11-20]. ^ Drost, Daniel; Long, Gilbert; Wilson, David; Miller, Bruce; Campbell, William. Barriers to Adopting Sustainable Agricultural Practices. Journal of Extension. 1 December 1996. ^ Briassoulis, Helen. Policy integration for complex environmental problems: the example of Mediterranean desertification. Ashgate Publishing. 2005: 237. ISBN 978-0-7546-4243-5. ^ Desert reclamation projects 互联网档案馆的存檔，存档日期2009-01-03. ^ For example, Eden Reforestation Projects website, on Vimeo, on YouTube上的Eden Reforestation Projects. ^ Drylands Restoration Initiative. Food and Agriculture Organization of the United Nations. [14 April 2016]. ^ Global guidelines for the restoration of degraded forests and landscapes in drylands (PDF). Food and Agriculture Organization of the United Nations. June 2015 [June 2015]. ISBN 978-92-5-108912-5. ^ Our Good Earth - National Geographic Magazine. [21 June 2016]. ^ List of plants to halt desertification; some of which may be soil-fixating 互联网档案馆的存檔，存档日期2011-02-01. ^ Département Biologie Végétale - Laboratoire Commun de Microbiologie IRD-ISRA-UCAD. [21 June 2016]. ^ Sprouting Trees From the Underground Forest — A Simple Way to Fight Desertification and Climate Change – Water Matters - State of the Planet. Blogs.ei.columbia.edu. 2011-10-18 [2012-08-11]. ^ 58.0 58.1 58.2 How fences could save the planet. newstatesman.com. January 13, 2011 [May 5, 2013]. 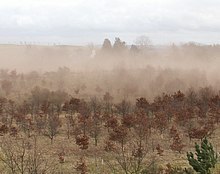 ^ Restoring soil carbon can reverse global warming, desertification and biodiversity. mongabay.com. February 21, 2008 [May 5, 2013]. （原始内容存档于2013年6月25日）. ^ Abend, Lisa. How eating grass-fed beef could help fight climate change. time.com. January 25, 2010 [May 11, 2013]. ^ How cows could repair the world. nationalgeographic.com. March 6, 2013 [May 5, 2013]. Arnalds, Ólafur; Archer, Steve. Rangeland Desertification. Springer. 2000. ISBN 978-0-7923-6071-1. Barbault R., Cornet A., Jouzel J., Mégie G., Sachs I., Weber J. (2002). Johannesburg. World Summit on Sustainable Development. 2002. What is at stake? The contribution of scientists to the debate. Ministère des Affaires étrangères/adpf. Bauer, Steffan. Desertification. (编) Thai, Khi V. et al. Handbook of globalization and the environment. CRC Press. 2007. ISBN 978-1-57444-553-4. Geist, Helmut. The causes and progression of desertification. Ashgate Publishing. 2005. ISBN 978-0-7546-4323-4. Hartman, Ingrid. Desertification. (编) Philander, S. George. Encyclopedia of global warming and climate change, Volume 1. SAGE. 2008. ISBN 978-1-4129-5878-3. Hinman, C. Wiley & Hinman, Jack W. The plight and promise of arid land agriculture. Columbia University Press. 1992. ISBN 978-0-231-06612-9. Johnson, Pierre Marc et al. (编). Governing global desertification: linking environmental degradation, poverty and participation. Ashgate Publishing. 2006. ISBN 978-0-7546-4359-3. Mensah, Joseph. Desertification. (编) Leonard, Thomas M. Encyclopedia of the developing world, Volume 1. Taylor & Francis. 2006. ISBN 978-0-415-97662-6. Moseley, W.G. and E. Jerme 2010. “Desertification.” In: Warf, B. (ed). Encyclopedia of Geography. Sage Publications. Volume 2, pp. 715–719. Oliver, John E. (编). Desertification. Encyclopedia of world climatology. Springer. 2005. ISBN 978-1-4020-3264-6. Parrillo, Vincent N. (编). Desertification. Encyclopedia of social problems, Volume 2. SAGE. 2008. ISBN 978-1-4129-4165-5. Bell, Trudy; Phillips, Tony. City-swallowing Sand Dunes. NASA. December 6, 2002 [2006-04-28]. （原始内容存档于2006年6月19日）.